Yvette Backer and Remko van der Pols, Van Haren Publishing, 2013, ISBN: 9789087536435. The Application Services Library ASL is a public domain framework and the standard for application management. 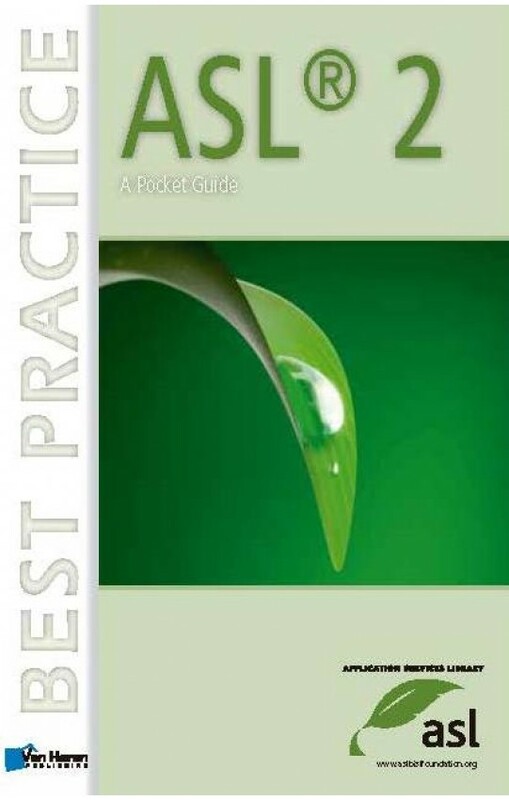 This pocket guide offers an introduction to the framework ASL 2, an evolutionary update of the ASL framework that was introduced in 2001 and is used by more and more organizations since then. This compact book offers a generic introduction and additional background information through a case study. This case study offers a historic perspective, with examples comparing the past situation for ASL and the present with ASL 2. ASL will offer support to anyone implementing application management. Additional support is given by best practices that are published on the website of the ASL BiSL Foundation. ASL aligns with other frameworks, e.g. BiSL for Business Information Management and ITIL for IT Service Management.